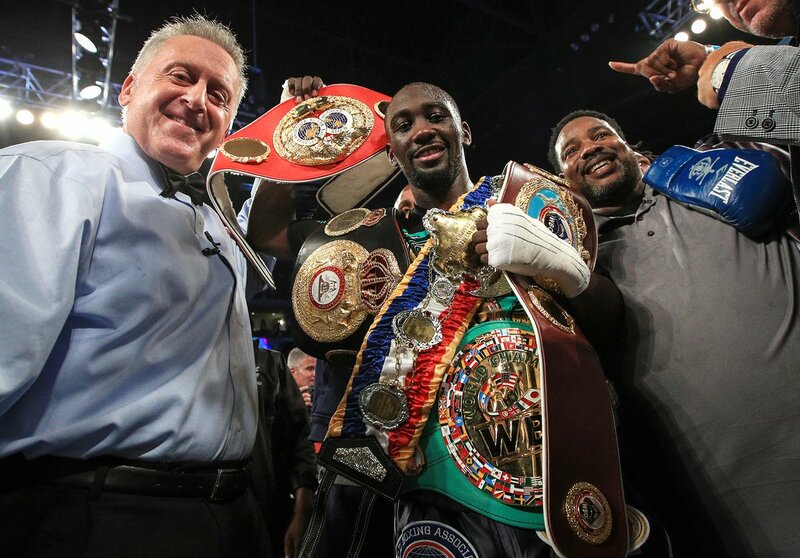 Terence Crawford vacated the IBF super-lightweight world title Wednesday with a purse bid looming for a mandatory defense against Kazakh Sergey Lipinets. The move comes just 11 days after the unbeaten champion knocked out Julius Indongo with a devastating left to the liver in three rounds before an electrifying crowd of 12,121 at Pinnacle Bank Arena in Lincoln, Nebraska. Crawford (32-0, 23 KO’s) became just the third fighter of the four-belt era to unify all of the titles. The other two were middleweight champions. Bernard Hopkins ironically knocked out Oscar De La Hoya with a left to the liver in 2004, and Jermain Taylor beat Hopkins on points in 2005, and in their subsequent rematch. According to ESPN, Crawford’s promoter, Bob Arum of Top Rank, is planning on having Crawford, 29, travel to Australia to have a front-row seat of the Manny Pacquiao-Jeff Horn rematch, which is expected to take place either in November, or in 2018. This implies he may get the winner and his move to the welterweight division is inevitable. Lipinets (12-0, 10 KO’s) knocked out Leonardo Zappavigna in the eighth round of a world title eliminator bout to become the IBF mandatory challenger last December. He will likely be ordered to fight IBF No. 3 ranked contender Akihiro Kondo (29-6-1, 16 KO’s), 32, of Japan, who has never beaten, let alone faced a world-class opponent.